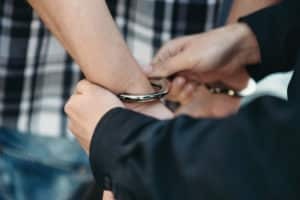 Preventing an officer from effecting an arrest is a crime in New Jersey, which makes matters worse when you are already being arrested for another criminal offense. The same applies if you are being arrested and you attempt to flee or run away if police tell you to stop. If you have been charged with resisting arrest in Camden County or elsewhere in New Jersey, it is crucial to have knowledgeable legal representation. There are a number of effective defenses that can be used to get resisting arrest charges dismissed. An experienced criminal defense attorney can thoroughly investigate your case to identify the best ways to combat your resisting arrest charge. William Fay is a highly knowledgeable criminal defense lawyer with years’ experience defending clients in Camden, Lindenwold, Pine Hill, Bellmawr, Mt. Ephraim, Winslow, Voorhees and Pennsauken. As a former Deputy Attorney General turned dedicated criminal defense attorney, Mr. Fay and his team go above and beyond to deliver superior results. For additional information about your resisting arrest charges, contact our criminal defense law firm at 609-832-3202 for a free consultation with a lawyer who will fight for you. The person flees or attempts to elude a police officer while operating a motor vehicle or vessel. Notably, if eluding a police officer in a motor vehicle creates the risk of injury or death to another person, this becomes a second degree crime, which is the most serious type of resisting arrest/eluding charge. What are the Penalties for an NJ Resisting Arrest Charge? The consequences of a conviction for resisting arrest in New Jersey depend on the circumstances of the specific case. A typical resisting arrest charge is a disorderly persons offense, which is punishable by up to 6 months in the county jail. However, if you attempt to prevent an arrest by fleeing (referred to as “eluding“), this becomes a more serious fourth degree crime, which may result in a sentence to serve up to 18 months in NJ State Prison if you are convicted. Resisting arrest can also be a third degree crime if the attempt to elude an officer is committed while operating a motor vehicle, and in the most severe cases, you can be charged with second degree resisting arrest if the offense occurs in a vehicle and it creates a risk or injury or death to another person. As mentioned above, the potential penalties for resisting arrest depend on the degree of the charge and the conduct involved in the offense. Specifically, a disorderly persons resisting arrest charge is punishable by up to 6 months in the county jail, a fine of up to $1,000, and a charge on your criminal record. Fourth degree resisting arrest may result in a sentence to serve up to 18 months in New Jersey State Prison and a fine of up to $10,000. Third degree eluding entails a prison term ranging from 3 to 5 years for those convicted and a maximum fine of $15,000. Lastly, a second degree charge for resisting arrest is punishable by between 5 and 10 years of incarceration and a fine of up to $150,000. For eluding offenses in a motor vehicle, the court may also impose a driver’s license suspension ranging from 6 months to 2 years. It is important to note that the penalties for resisting arrest may be imposed in addition to any consequences associated with a conviction for another criminal offense. To schedule a free consultation about your resisting arrest or other criminal charge, please call our criminal defense law firm at 609-832-3202. We regularly assist clients in Burlington County, Camden County and Gloucester County.